Border Radio is a return to our roots: a “college radio” station that gives Arizona Western College students and other community members a chance to host music programs. Check us out at 94.7 FM and 1320 AM in Yuma, 89.5 FM Williams/Grand Canyon/Flagstaff, 90.1 FM Prescott/Prescott Valley/Tri-Cities Area, 90.7 FM Kingman/Laughlin/Las Vegas Area, 91.3 FM Flagstaff/Munds Park/Sedona, on the RadioFX app, or on TuneIn. 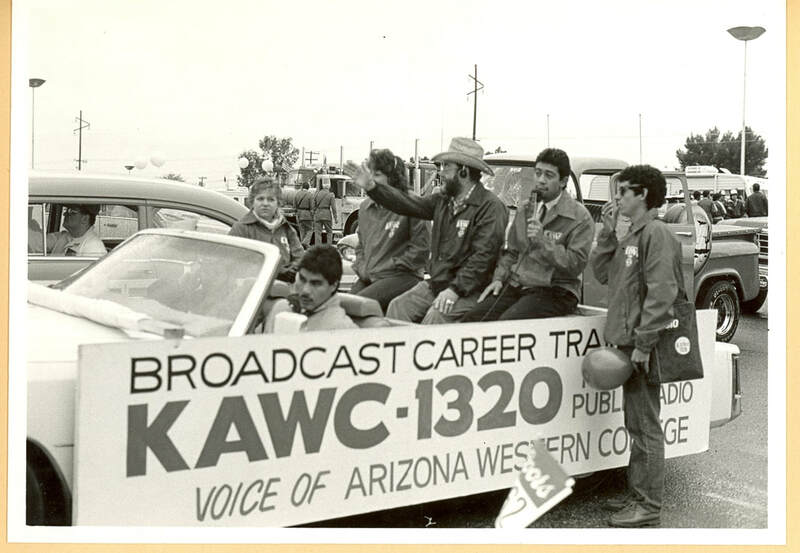 KOFA began broadcasting on July 11, 1970 as KAWC-AM 1320. In May 2018, KAWC relaunched as KOFA Border Radio. Border Radio and its sister station, KAWC, broadcast from the Robert E. Hardy Radio Studio Complex on the Arizona Western College campus in Yuma. The studios are dedicated in honor of "Uncle Bob" Hardy, KAWC's first general manager from 1970-1992. Uncle Bob passed away on January 5, 2016, and News Director Lou Gum produced this remembrance. KOFA 94.7 FM is licensed by the Federal Communications Commission (FCC) as a non-commercial, educational radio station. KOFA's licensee is the Arizona Western College District Governing Board.